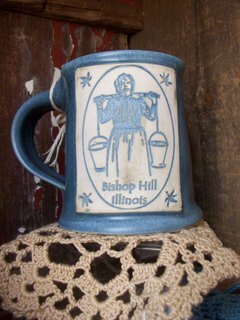 The first in our line of “Colony Store Exclusive” pottery, this lovely handmade large mug by Bishop Hill artist Lou Hanson features a dairy maid toting her buckets. Don’t forget to add the ornament to your order too! Measures 4.5″ tall Colors available Green, Blue and Brown. 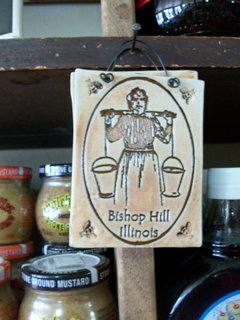 The first in our line of “Colony Store Exclusive” pottery, this lovely handmade ornament by Bishop Hill artist Lou Hanson features a dairy maid toting her buckets. A wire is attachment for ease of hanging. 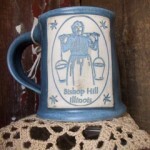 Don’t forget to add the mug to your order too! These are limited edition and will be retired after this year. 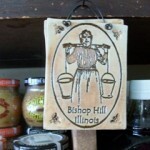 Measures 3″x3.5″.